What Type of Cyst do you Have? Before we go on to discuss the various home remedies for cysts, the first thing to do is to recognize the type of cyst that you have. There are several types of cyst that people commonly get including sebaceous, ganglion and pilonidal cysts which are the focus of this article. Sebaceous cysts are pus-filled lumps that form in a closed sac beneath the skin. Sebaceous cysts can occur anywhere on the body but are more typical on the face, neck, and back. They are usually caused by inflamed hair follicles or skin trauma which leads to a build-up of keratin. The lump which is formed develops gradually, is not dangerous and does not usually cause any pain. However, when the cyst becomes infected it can cause swelling, redness and soreness and weeping. These cysts are jelly filled lumps which commonly occur along the joints or tendons of your wrists, hands, and ankles. They range in size from that of a pea to around an inch in diameter. They are not cancerous but left untreated, they may interfere with the mobility of your joints. This type of cyst develops on the tailbone and when it becomes infected, it fills with pus. Pilonidal cysts resemble large pimples just above the buttocks and are more common in men than in women. The precise cause is not certain but experts believe they are caused by ingrown hairs or trauma. If you have experienced any of these cysts, there is no cause for alarm. As often as not, they will subside naturally, but they can cause discomfort and pain especially when infected. It is possible for the cysts to be lanced by a doctor but there are many natural home remedies that can prove just as effective. Tea tree essential oil has outstanding anti-inflammatory and proven antimicrobial properties and has a variety of uses including the safe and natural treatment of cysts. It can be used to treat sebaceous cysts as well as ganglion and pilonidal cysts by following a couple of very simple steps. Dilute 2 drops of tea tree oil in coconut oil or another suitable base oil and apply the mixture to your cyst. After applying the oil, cover the area with a band-aid and allow it to work. Repeat the process each day for as long as you need. A warm compress is soothing, simple and a great way to treat your cyst at home. The moist heat that is applied to a cyst when applying a compress dilates the blood vessels improves the flow of blood and transport of nutrients and expedites the healing process. All you need to do is soak a towel in warm water, wring out any excess liquid and apply the towel to your cyst for between 20 and 30 minutes 2 or 3 times a day. Aloe vera is a popular home remedy for a wide range of skin conditions and its ability to speed up the healing process. 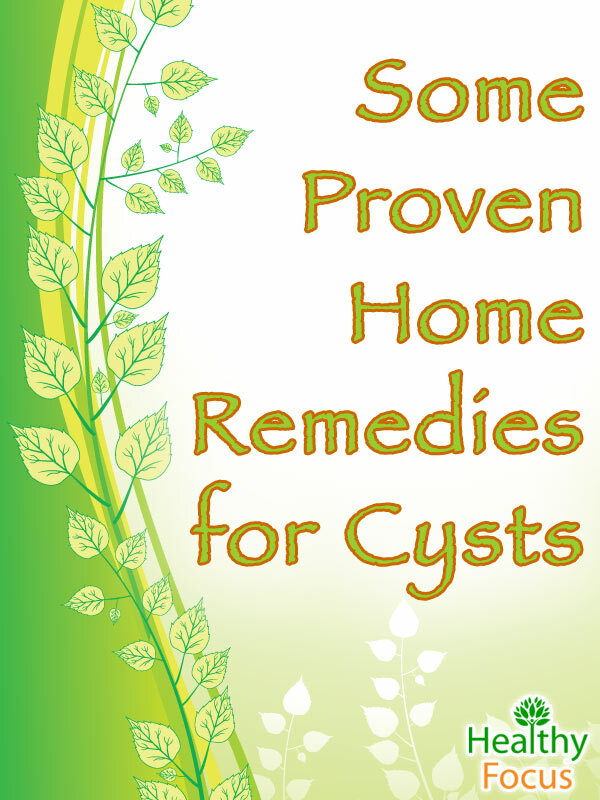 It is a great natural source of pain relief and its antibacterial properties can help your cyst especially if it has become infected. Simply extract the gel from an ale vera leaf by cutting the leaf lengthways and apply the gel to your cyst once or maybe twice each day and you should start to see some significant improvements before very long. The leaves and bark of witch hazel are used to make a therapeutic extract that can work wonders on your sebaceous cyst. Witch hazel extract has powerful astringent properties because of its tannins which help tighten the skin and limit the oil secretion responsible for your cyst. All you need to do is apply a drop or two of witch hazel extract to your cyst and let it work its way into your skin each day and with any luck, you will start to reap the rewards. 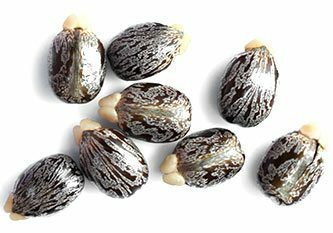 An antibacterial compound called ricin gives castor oil its therapeutic abilities to treat irritation, infection, and swelling of the skin. It is extremely useful when applied to an infected sebaceous cyst several times a day. It’s easy enough to use; just soak a clean cloth in castor oil and hold it in place against your cyst for 20 minutes or so. Alternatively, just rub the castor oil directly into your cyst each day for as long as is necessary. Good old apple cider vinegar is really developing a reputation as a home treatment option. It is an especially excellent remedy for skin complaints and infections because of its antiseptic and antimicrobial properties and is recommended for the treatment of sebaceous cysts. Just soak a cotton ball in apple cider vinegar and apply it to your cyst; hold the cotton ball in place with a band-aid and let it work for at least 30 minutes several times a day. Grapefruit seed extract is another natural remedy that is developing a reputation for its variety of uses and benefits. It has outstanding antimicrobial properties that many people have found effective in the treatment of cysts. Apply a single drop of grapefruit seed extract to your cyst and let it absorb into your skin before covering the area with gauze and a band-aid. There are many other possible home remedies for sebaceous cysts which include essential oils like Frankincense Oil and herbal remedies like milk thistle, Red Clover, and Goldenseal. None of these remedies are backed by specific research but there are numerous testimonials that claim success. With a little trial and error, you will hopefully find he home remedy that you are looking for. Ginger is one of those wonderful herbs that confers a variety of therapeutic benefits. It can be used to treat and ease pain related to ganglion cysts because of its anti-inflammatory and natural pain-killing nature. The best way to get the most out of this herb is to incorporate it into your diet but failing that, you can easily get hold of supplements. 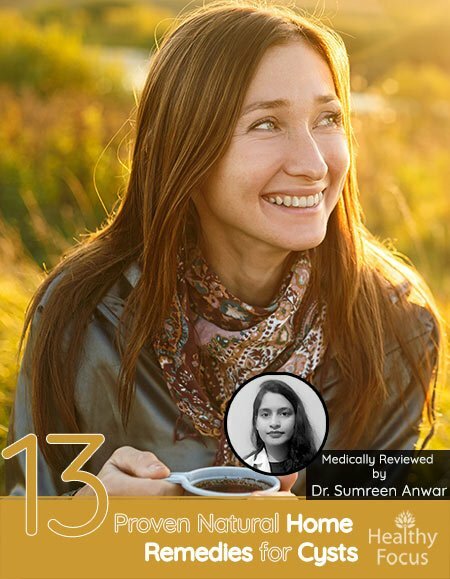 Like ginger, Turmeric is a tried and tested herbal remedy for a number of conditions. It has anti-inflammatory and antibacterial properties and can be taken in supplement form. You can also make a topical paste by mixing a tablespoon of turmeric powder in water and applying it to your cyst each day to ease the pain, swelling and prevent infection. 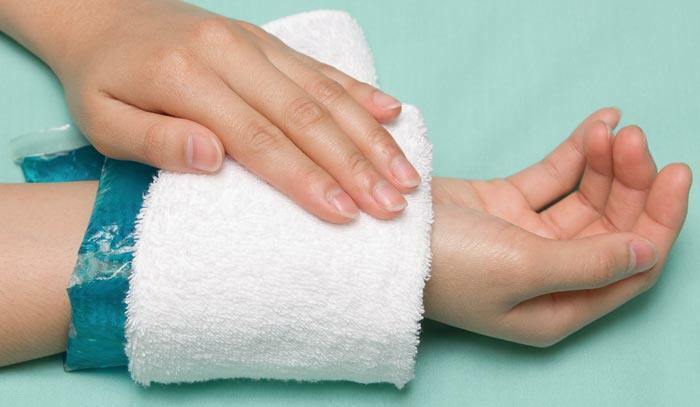 Apply a warm compress to your ganglion cyst following the instructions are given earlier in the article. As well as being able to treat a sebaceous cyst, both Tea tree and Frankincense essential oils have the medicinal properties that can help ease irritation and treat the infection caused by a ganglion cyst. Dilute a drop or two of your essential oil in a base oil and apply it to your cyst then cover it with a band-aid each day. Arnica is an effective remedy for ganglion cysts because of its anti-inflammatory properties that help ease swelling and redness. It helps flush toxins from the body and aside from treating your cyst can even help you achieve vibrant looking skin. Arnica is available in several forms including gels and topical creams which can be applied directly to your cyst every day. You can use turmeric, ginger, castor oil and the same essential oils to treat your pilonidal cyst by following the same directions given above. Besides those remedies, there are several other treatments that will hopefully work very well on your cyst. Chuna which is often referred to as slaked Lime is an excellent remedy for boils and pilonidal cysts. 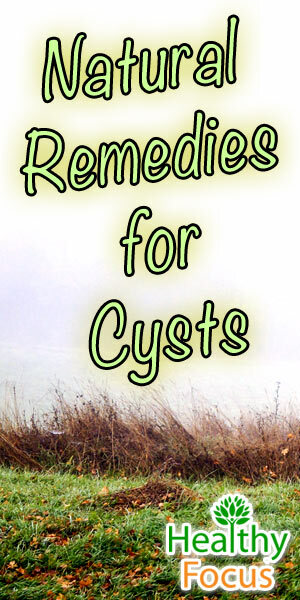 If you are suffering from an infection, it helps dry out the cyst and kill off bacteria. Mix a teaspoon of chuna with an equal amount of turmeric powder, add a drop of water and make a fine paste. Apply the paste to your cyst and cover it up with a bandage or band-aid each day until you see improvements. Epsom salts contain compounds like magnesium sulfate that help clean up the cyst, draw out the toxins and reduce the size of your cyst. The best way to use Epsom salt is to fill up your tub, throw in a few cups, sit back and let the treatment get to work.